Philip A. Hartigan reviews Anne Harris: Coddled and Bruised at Cultivator, Chicago, on view through December 13, 2015. Hartigan writes that "[Harris's] new series mostly consists of roughly-painted torsos, seen from the front. The outline of arms and a body sometimes emerges from the monochromatic ground via thinly painted marks, or is announced loudly with a broad-brushed line. There are faces, but they are depicted in ways that seem to cancel themselves out: a quick, semi-abstract mark, furtive smudges of paint, a collaged face cut out from another painting... 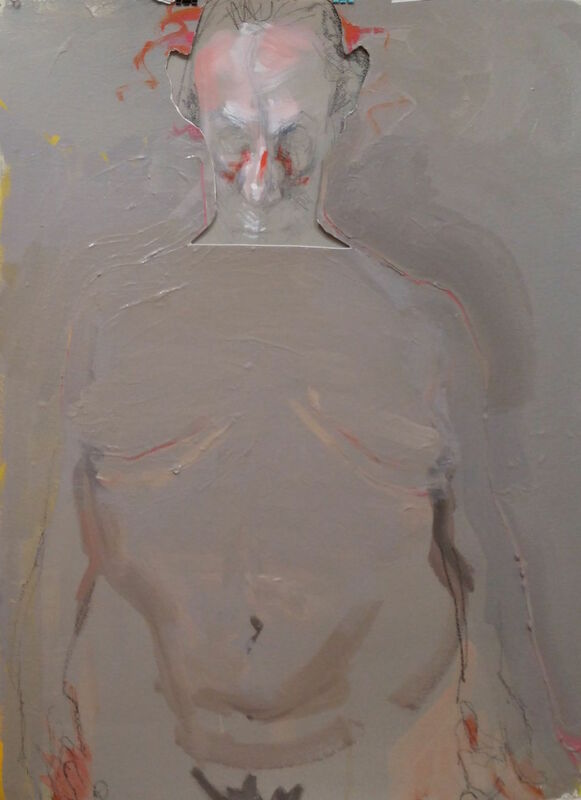 Certainly these works present an accomplished artist asking questions about her own practice, questions such as: How can I paint the body in a more immediate way? What sort of mark delineates the content of the body or the edge of the body? At what point can a painting be considered finished?"